The 2019 financial year will soon draw to a close, meaning it is time you start thinking about your tax planning strategies and end of financial year position. Why is investing time in tax planning strategies important? Well without them, you cannot be confident that you have mitigated your tax obligations effectively and in doing so, maximised your after tax wealth position, leaving you with more resources to help you achieve your financial success. Is tax planning relevant to you? Regardless of the type of income you earn, if you lodge a tax return and receive a tax assessment, tax planning is something you should consider. At the very least, understanding your future tax timeline of what taxes are to be paid, when and by whom is critical to your personal and business cashflows and if unchecked can be a cause of significant financial distress. The starting position is to understand the year to date performance and forecasting this out for the remainder of the year to estimate what profits/taxable income levels you are working with. This may be for an individual, a single entity, a family group structure or a large corporate entity. The concepts and the importance are the same for all. We identify any one-off or unusual events that have taken place during the year that can have a taxation impact and factor these into your forecast position. Such events could include the disposal or purchase of a property, changes in trading conditions or structures, new business opportunities as well as planning for personal events such as retirement and building of superannuation. Then the fun starts! Once we have the forecast position established, we work with you to consider what options are available to reduce, mitigate or defer tax commitments. We consider the tax impacts of the various strategies and then forecast a revised and improved tax position to work through scenarios to help you identify what you would like to implement. We also ensure you are structuring your asset ownership and managing your flow of funds and transactions throughout your structure effectively. Based on your decisions we then provide you with an action plan to implement prior to 30 June and we work with you to ensure everything is ticked off and you finish the year calm and in control. Are there other reasons to consider tax planning? Apart from the obvious reasons for tax planning there are a number of sneakers that can crawl under the radar and cause significant tax headaches if not addressed prior to the end of the financial year. If you operate a company there are very specific rules with regard to how you extract your profits and cash from the company. The application of the Division 7A debit loan rules can have serious adverse taxation impacts for clients. These rules now extend to trusts also. Reviewing and forecasting inter entity and owner loan accounts is critical. The determination of appropriate dividend strategies and the repayment of loans can mitigate any of these hidden tax nasties if done before 30 June. If you operate a Trust in your structure you will already know that the trustee must now determine in writing how to treat the income of the trust prior to 30 June. Failing to do so can trigger an assessment at trustee level with the adverse application of a 47% tax rate to the whole assessable income of the Trust. We assist with the preparation of distribution minutes that comply with the terms of your deed, and achieve the most effective distribution strategy and tax outcomes for family groups. The above is a guide to only a few of the key themes, issues and actions we discuss and work with our clients in the final quarter of the financial year. It is often the time we have the most valuable impact to our clients financial and taxation affairs. Every client and their financial circumstances are unique and often each year is different to the one before (as well as ATO rules and interpretations). The important message to take from this information is that optimal year end positions can only be achieved by implementing strategies PRIOR to 30 June 2019. After 30 June is too late! 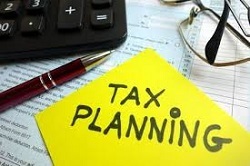 For assistance in getting your 2019 tax planning underway, call your Davidsons team member or contact us at info@davidsons.com.au for more information.